Meet Joseph Loughnane, an Irishman with a severe case of Jew hatred and potty mouth (hat tip: Legal Insurrection). 10 years on campus yet his vocabulary seems to be limited to the F word. By referring to “Jew hatred”, I chose my words carefully. You see, this epitome of tolerance is not solely a hater of Israel. He’s also running for student office. The sad thing is the vile behavior we just witnessed might enhance his popularity among his fellow students. Update: He’s also a schnorrer. 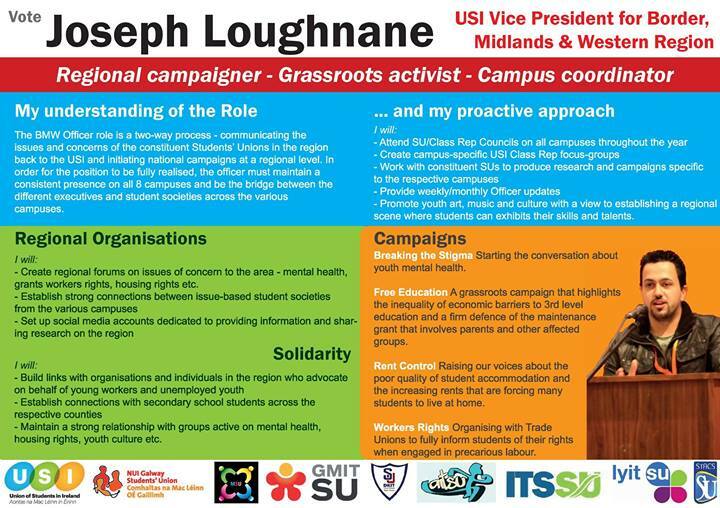 On April 12th 2012, I, Joseph Loughnane, along with over a 1000 others protested outside the Labour Party Conference. During this protest I was pepper-sprayed along with others. In September of last year I received a summons where I was accused of two counts of minor assault against two members of the Gardai. It was alleged that I ejected the pepper-spray from my mouth at the Gardai. In September 2013 this case finally reached it’s conclusion. In order for me to avoid charges I was told to pay compensation of €1400 to the Gardai involved. Had I received any charges it would have been the end of my legal career in this country. I have until the middle of December to raise this cash and unfortunately I will not be able to meet this amount on my own. As it was a public protest with over 1000 people present besides myself I am coming to you for help so I can close this chapter and ensure that in December this is put to bed once and for all. Thank you in advance for any help you can give. There are two ways you can donate, through the paypal link below or straight into a bank account. With regard to the bank account, I will leave my contact details so I can send you on the sort code and account number once you contact me. In order to be completely open and transparent about this I will post daily and weekly updates on progress. I will list donations with the person’s initials so they know they’ve been recorded and I will display the reduced balance once donations start. Judging by his hateful conduct in the above video, I would not be surprised if he was guilty of what he was accused. But also note how he promises to post ” daily and weekly updates on progress,” yet this is the most recent post and it is from October last year. Update: Another post from his blog, railing against racism! Update: Boo to the hoo.